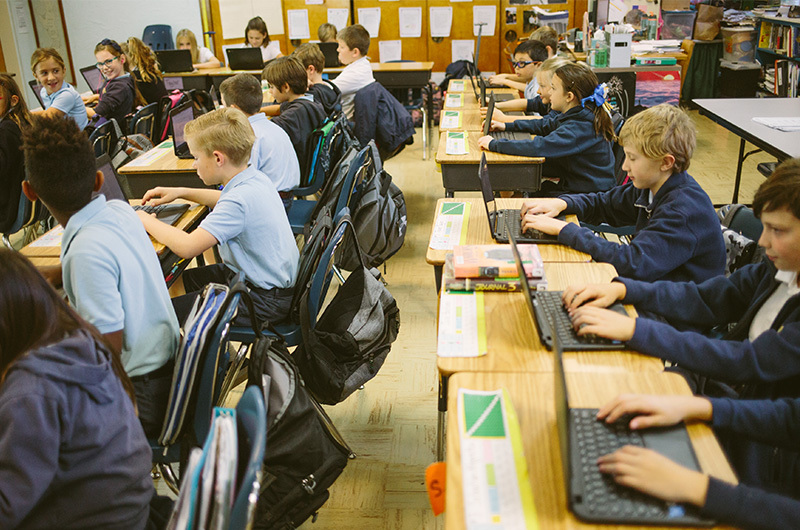 Old Mission School works diligently to comply with and create a rigorous curriculum based on the current standards. With these standards in place, our teachers are able to create instruction and learning that promotes problem solving, communication skills, and critical thinking. This, in turn, creates an exciting new direction of learning and energetic environment for our students. The Common Core concentrates on a clear set of math skills and concepts. Students will learn concepts in a more organized way both during the school year and across grades. The standards encourage students to solve real-world problems. You can read more about Common Core Math and Mathematics Standards HERE. Through a collaborative, state-led process, new K-12 science standards have been developed that are rich in both content and practice, and arranged in a coherent manner across disciplines and grades to provide all students an internationally benchmarked science education. The NGSS were released in 2013 and are being implemented in states and districts across the nation. To learn more about NGSS, click HERE. The skills and knowledge captured in the ELA/literacy standards are designed to prepare students for life outside the classroom. They include critical-thinking skills and the ability to closely and attentively read texts in a way that will help them understand and enjoy complex works of literature. Students will learn to use cogent reasoning and evidence collection skills that are essential for success in college, career, and life. The standards also lay out a vision of what it means to be a literate person who is prepared for success in the 21st century. To learn more about Common Core ELA, click HERE.